Motorola Mobility will be launching its new RAZR M and RAZR HD Android handsets exclusively through Telstra, utilising that network's 4G coverage, in early October. Interested consumers can already register their interest in these handsets. 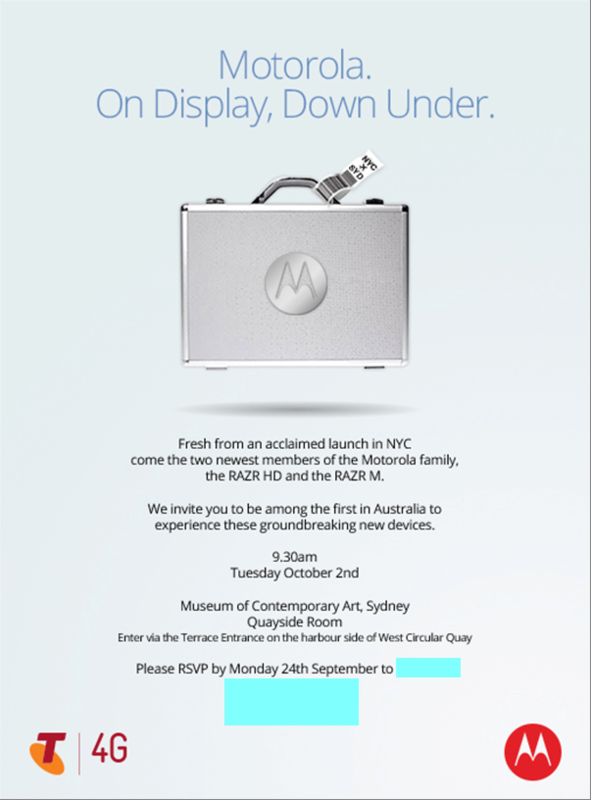 Following the global launch two weeks ago, Motorola has issued invites to local media for the media event, which will be held on 2 October 2012. Motorola flew several Australian journalists to the launch in New York City, with many of them writing very positive articles about the new handsets, further intensifying anticipation for these models. A copy of the invite sent to local media – click image for closer view.